Kion Dojo was founded by Ingmar Kikat in Hamburg/Germany in 2006. At the moment there are roughly 45 active members or students. 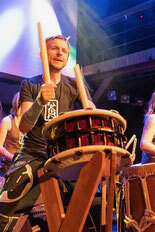 Kion Dojo's style of drumming is based on the Japanese school Tawoo Dojo and their well known group Gocoo from Tokyo. Drumming techniques, movements and many of the pieces used originated in Tokyo, where Ingmar Kikat spent 1 1/2 years in 2004-05. Ingmar's individual interpretation coupled with that of each student, has meant that the school has developed its own version of the Tawoo style in Hamburg. In addition to the pieces brought from Tawoo, Kion underlines its unique style by using own compositions. The Kion style as based on Tawoo differs considerably from most other common taiko styles. The whole body is involved in the movements and they are fluid, so although they need some energy, they rely more on good technique than on force or muscular strength. The flowing movements result in rhythmical patterns with a lot of deep groove and jazz-influenced accentuation producing a clearly distinctive sound. Japanese influence remains prevalent in Kion's sound, but there are many other influences from own backgrounds as well. Choreography plays an important role, but the emphasis is on "feel" and „groove". Taiko in Kion Dojo is taught in a way that makes it easy for beginners to join the lessons. Most sessions are open to everyone, regardless of experience or proficiency. Through the combination of different levels of experience, students can learn from each other and create a dynamic and encouraging learning atmosphere. Nonetheless, technical and musical challenges can be taken to a high level, where experienced players can further develop their skills. In addition to the regular lessons in central Hamburg, Kion Dojo also offers special workshops including handicapped participants in other parts of the city. Kion Dojo has performed at many local street festivals and events in and around Hamburg. 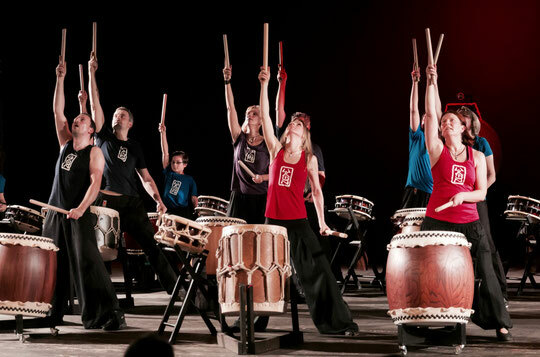 The longest trip included a performance in Tokyo/Japan in May 2015 at the taiko festival Tawoo Rhythm, where Kion Dojo was likely the first group from northern Germany to have performed in Japan. 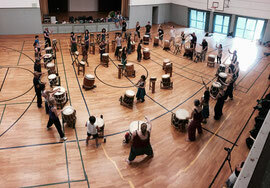 Kion Dojo offers all kind's of different taiko-workshops for players of different levels. 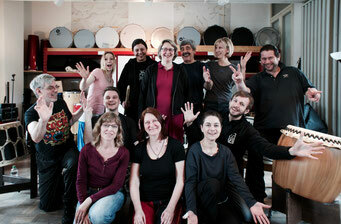 Ingmar Kikat also offers workshops for taiko-groups in which they can work on improving groove and musicalitiy. Kion Dojo played its first fully featured concert in March 2015 under the name KionSai. 35 members of Kion Dojo joined on stage for a 2-hour programme, which had taken months to plan and prepare. Taikoon is a performance group formed in 2008 of Kion Dojo members. Taikoon currently consists of 5 drummers. Taikoon performs its own compositions, developed by the group, as well as pieces by the leader, Ingmar Kikat. The most recent concert took place at the Goldbekhaus in Hamburg in October 2015.